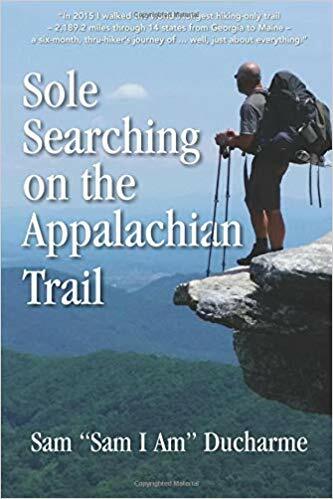 Sole Searching on the Appalachian Trail brings the readers on a six-month thru-hike with “Sam I Am,” a newly-retired prison guard who finds himself lost when his two sons leave for the Air Force and his K-9 partner passes away. 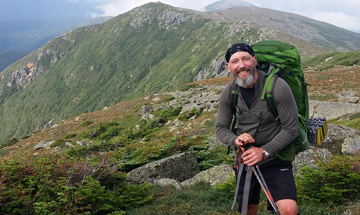 With no hiking experience, he bought a backpack and a plane ticket to Georgia and started walking home to New England. One month after deciding to hike the 2,189- mile trail, and after three weeks of intensive YouTube-training, Sam takes his first step north, armed with all the critical gear REI could part with. The journey was long, dangerous and took a toll on his body, but as he lay in his hammock after yet another day of endless climbs and punishing descents, he was determined to finish… or at least get to day three. 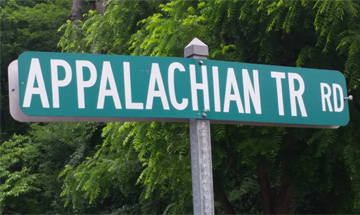 It didn’t take long to learn that the Appalachian Trail was a trail of people, or as they called themselves, “Trail Family.” With this new and quirky family from doctors to dropouts, the grimy layers of dirt accumulated from a career spent “inside” [a prison] slowly peeled away exposing “Sam I Am’s” shiny new layer of dirt, which was earned “outside” by hiking the Appalachian Trail. Learn More About My New Book! Those who attend this program will be treated to a modern day adventure. In 2015, Sam Ducharme set out on a 2180 mile, 14 state backpacking trip from Springer Mountain, Georgia to Mt. Katahdin Maine. During his six months thru-hiking the appalachian trail, he documented the rugged beauty of the Appalachian Mountains, the wildlife, the hardships encountered on the trail, as well as the people, culture and humanity at its finest. 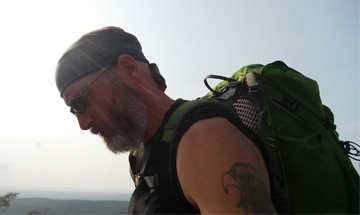 Come join him as he takes you through the trail towns, over the mountaintops and through the backcountry. As a public speaker, the images and stories that Sam brings with him will leave you with a renewed awe of the beauty of our country and its people. You will also see his gear, how he cooked, and hear what it is like sleeping in a hammock for six months through three seasons. 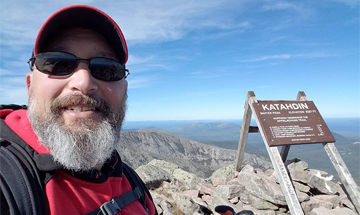 You will also hear how Sam returned to the trail the following year, connecting with aspiring Thru-Hikers, paying it forward, and his return to the summit of Katahdin one year later. Sam Ducharme is a retired K9 Officer and is a lifelong resident of Connecticut. He has two adult sons, both serving in the United States Air Force. As an avid outdoorsman, and finding the empty-nest, Sam decided to buy a backpack and a plane ticket to Georgia. From there, he started walking north. With no prior backpacking experience, he learned on the trail. Gear, trail nutrition, enduring the elements, and the logistics involved in a long distance backpacking trip were hard lessons. 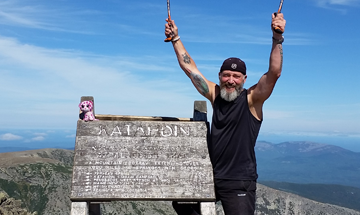 After 20 years working within Connecticut's prisons, the search for a positive recharge resulted in a life changing journey. Contact Sam to book a presentation. A retired canine officer from Connecticut, Sam has two grown sons serving in the United States Air Force. He currently travels as a public speaker acting as a good steward to the trail and promotes Leave No Trace. 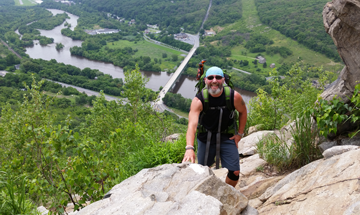 He resides in Woodstock and offers his thru-hiking presentations throughout the United States. Call today to reserve a date!